It has been decades since the Predator franchise has felt relevant. While the 1987 original was rightly lauded for being a bona-fide action classic, 1990’s Predator 2, 2010’s Predators, and the much derided Alien vs. Predator and Aliens vs. Predator: Requiem, were each so poorly received that they diluted the franchise. But that’s all changed for 2018’s The Predator, because a certain Shane Black has been placed in control of the franchise. The writer and director explained that he is basically being given free reign to make a crazy event film, and we couldn't be more excited. Shane Black revealed this to The Thrillist, admitting that he originally turned down the film because 20th Century Fox had now churned out so many that audiences simply don’t care anymore. But he also explained how the studio took his advice on-board, and came back to him with an offer he simply couldn’t refuse. What’s interesting about this is that executives ast 20th Century Fox are the ones who approached Shane Black about making The Predator as spectacular as popular. Maybe they finally realized that the way to connect with an audience is to actually make films that are good, rather than simply getting instalments out in as cheap and as quick a manner as possible, just hoping that audiences flock to see it because of the name recognition alone. And with Shane Black, plus a huge budget, there’s now plenty of reason to be hugely excited about The Predator. Not only has Black written Lethal Weapon, The Last Boy Scout, The Long Kiss Good Night, Kiss Kiss Bang Bang, and Iron Man 3--the latter two he also directed--but he’s developed a reputation as one of the sharpest and wittiest directors in Hollywood. 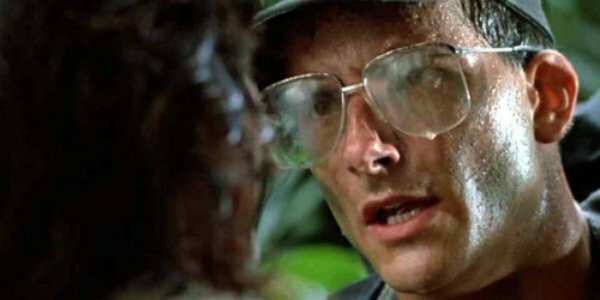 Shane Black also has previous with the Predator franchise. Not only was he asked to punch up the script, which he refused, he was then cast in the 1987 original with the hope that he’d change his mind. Black still turned down the offer, but now he’s been tasked with re-launching the dormant Predator franchise and making it relevant again. And 20th Century Fox couldn’t have picked a better guy. The Predator will be released on March 2, 2018, and we're getting excited.